Helen Trew is a graduate of The Royal Welsh College of Music and Drama and Film, Photogaphy and TV, BA Hons, Napier University Edinburgh. CPD includes Producer’s course at National Film and Television School, London, Prince 2 project management certification and training in equalities and human rights. She has performed, directed, produced and taught drama, moving image documentary, short genres, and acting/performance for 25yrs. She is an experienced creative producer able to draw on multiple disciplines and adapt to varying budgets and methodologies. Currently employed by Creative Scotland as Equalities, Diversity and Inclusion specialist, she brings additional skills and knowledge across the areas of cultural strategy, policy and national and European funding. 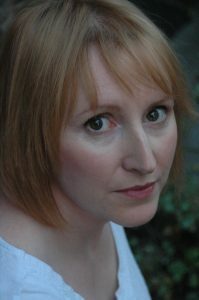 Previously she worked for Theatre Workshop Scotland in freelance capacities– as actress, and Assistant Director in theatre, and as Producer for multi-award winning co-created feature films: THE HAPPY LANDS, made with Fife mining community and TROUBLE SLEEPING made with local refugee community. Both films were screened by BBC, received BAFTA Scotland nominations and awards along with UK & international festival distribution. TROUBLE SLEEPING was invited to open Amnesty International’s Festival of Human Rights in Delhi. She also lead and produced multi-arts engagement projects and programmes for many clients including UZ Arts, Belfast International Festival at Queens, Children-in-Need, Save the Children and National Museums Scotland, and was Artistic Director of ‘The Belfast Family Album’- a year- long exploration of post-conflict domestic images. She ran Voice of My Own, a young people’s film company with productions nominated for BAFTA Scotland, Royal Television Society Awards, and won International Young People’s Moving Image Festival Greece (Camera Zizanio), Discovery Film Festival Scotland. She worked as a professional actress for 10 years and is a graduate of the Royal Welsh College of Music and Drama (Performance) where she received the HTV Performance Award. She played leading roles in Repertory theatre, small scale touring, T.I.E, and regular radio plays UK and Ireland.